Your everyday mat. 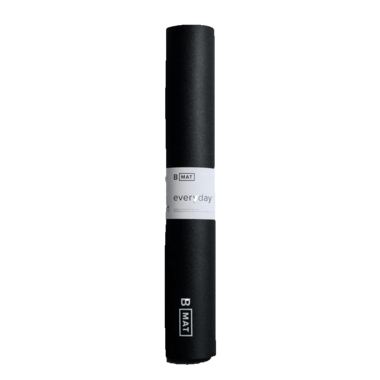 B MAT Everyday offers superior grip, cushioning, with a lightweight construction, allowing you to use it day in and day out for any type of practice you fancy. Get extra length to bend and flow with the B MAT Long collection. Superior grip, cushioning, with a lightweight construction, allowing you to use it day in and day out for any type of practice you fancy. Get extra length to bend and flow with the B MAT Long collection. Dosage: B CLEAN or Natural water based/vinegar solution, protect from direct UV rays to avoid UV damage.